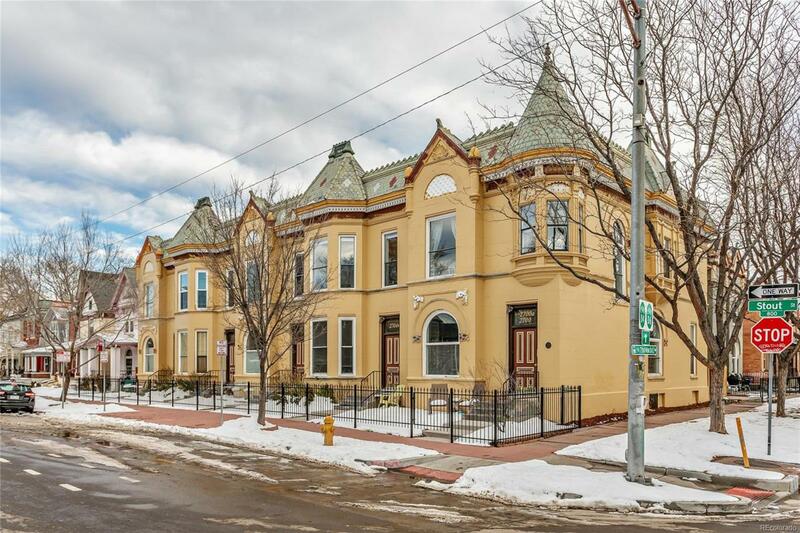 Entertain in this historic Curtis Park condo with 11 foot ceilings and open floor plan. Beautiful architecture include an exposed brick wall, wood floors, large bay windows, stylish paint colors and new bedroom carpet. Features a full size washer and dryer, reserved parking, basement storage unit and bike parking. Fenced front yard leads to a private entrance way with storage. Only two blocks from a number of eateries including Rosenberg Bagels, Rolling Pin Bake Shop, Kuni Sushi and Spangalang Brewery. This condo offers easy access to all the amenities of Downtown and the trendy RiNo district and is just a short distance to RTD bus/rail and located on the bike path on Stout Street.